If we are to live as informed and empathetic citizens of the global community, the topic of human rights must be at the center of our minds. The more life I live, the more I am fascinated by this topic and the profound questions it raises. There are two main lines of questions that come to my mind when I think about this issue. So, I’d like you lease divide your own blog posts into two sections that briefly respond to the following sets of questions. The first sub-topic is perhaps the most straightforward: I’d like you to reflect on specific human rights. 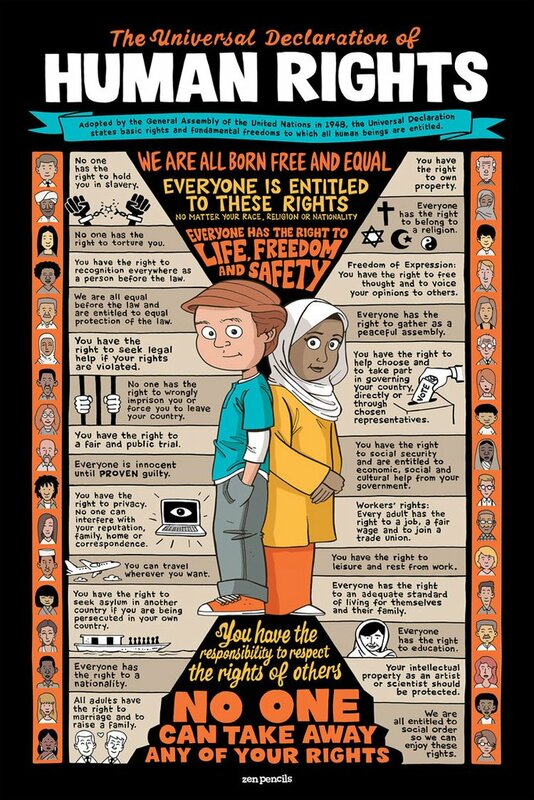 Which basic human rights do you think are most important? Which do you think are the most difficult to fully ensure, or are most likely to be withheld in today’s world? 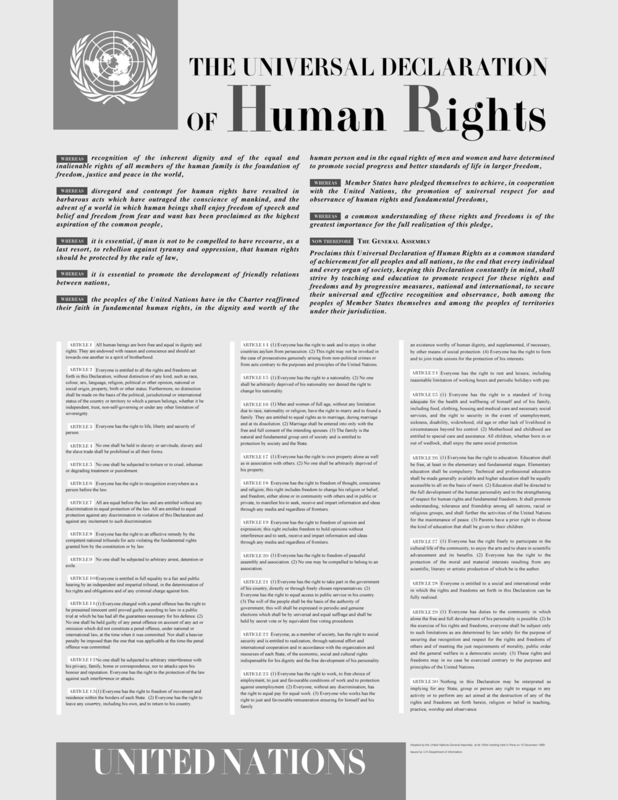 For the purposes of simplifying things and giving credence to how most people discuss this topic, you may with to consult the UN’s Universal Declaration of Human Rights. You can find the original document here, or a nicely simplified version here. The second sub-topic is more philosophical and difficult to fully answer, but I would argue that it’s still crucial to consider. According to your worldview, or just according to your own reasoning, what do you think is the source of human rights? Are they “natural,” imbued by nature or by God? Should they be up to individual legal systems to deliberate and decide upon? Should they be considered constantly-changing “social contracts” that societies periodically agree upon? I realize that these are really broad and profound questions. So, don’t feel like you need to get extremely deep and write a ton about them. Just go with your gut! My intention is that your initial perceptions about these questions will serve as a starting point for the discussions we’ll be having about The Good Earth over the next few weeks!